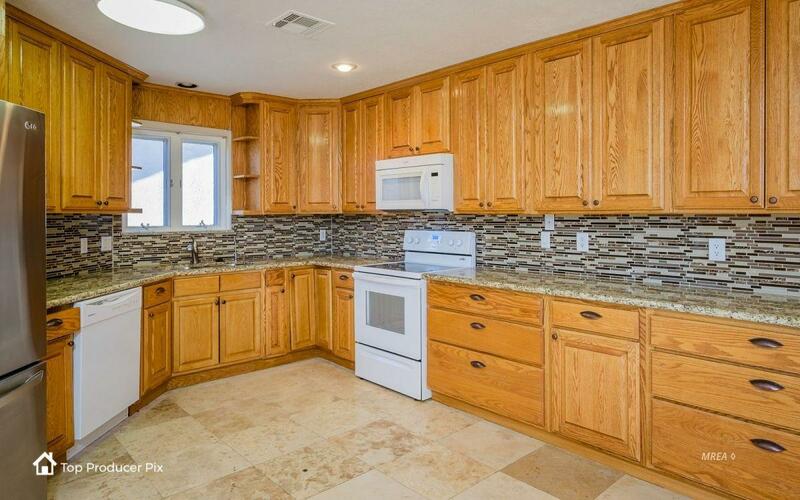 KITCHEN REMODELED ....Stunning Granite and glass tiled backsplash. 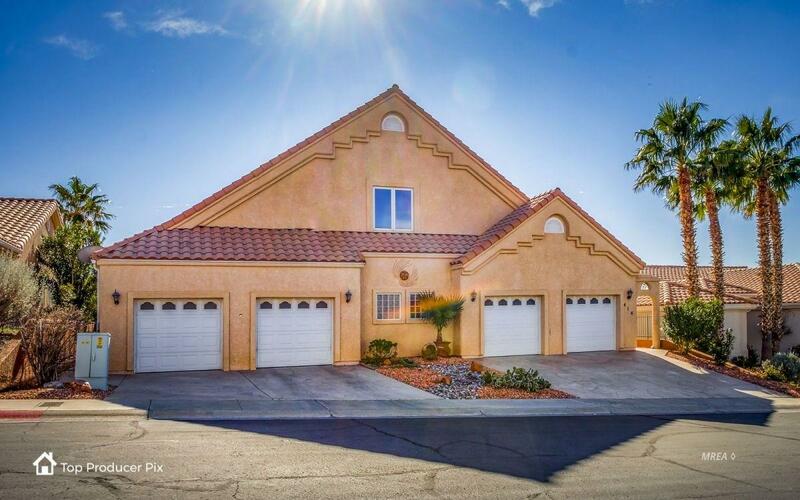 Rare hard to find "Large 4 Car Garage" ! Simply stunning southern views of the mountains are a hallmark of this property.. This CUSTOM BUILT residence has TWO exceptionally large OUTDOOR entertaining areas. 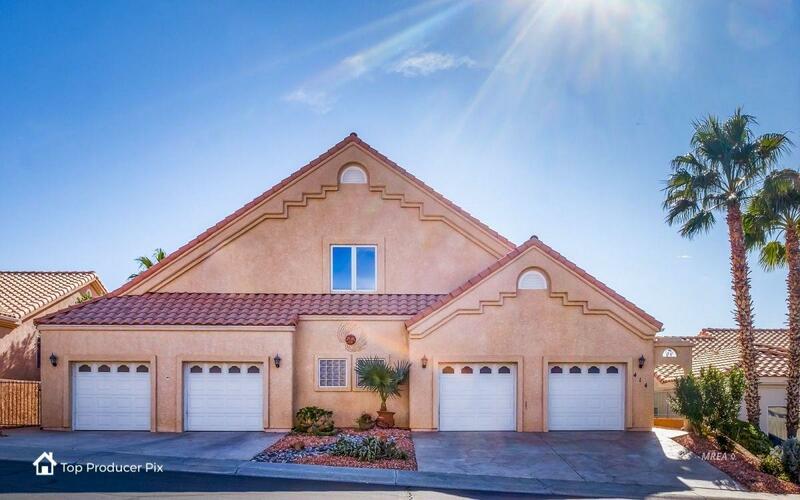 The spacious ALL TILED covered patio has a TILED BUILT-IN COUNTERTOP with a sink and cabinets. 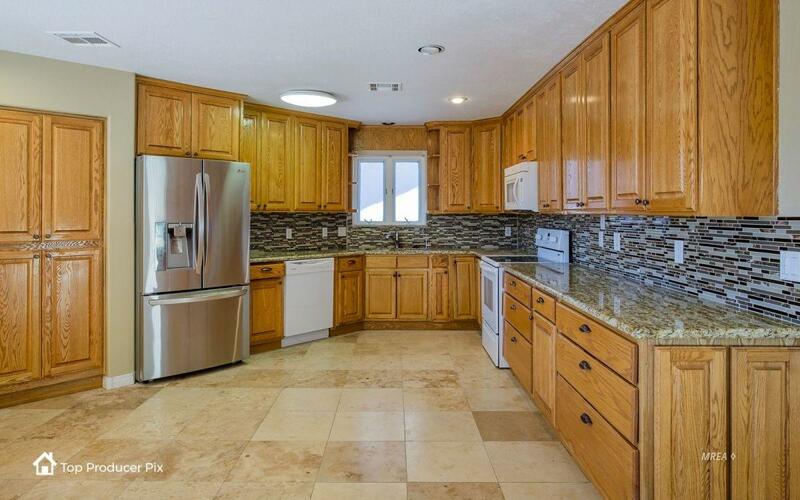 Kitchen offers GRANITE COUNTERTOPS with an abundance of cabinetry. Entryway, Living Room and Kitchen are newer 20 x 20 tile. LARGE PICTURE WINDOWS in the living room brings the beautiful outdoor views inside. THREE MASTER BEDROOM SUITES are unique to this home. Spacious 2nd floor family room is large enough to have a pool table. Custom railings accent the staircase with open views down into the living room. This makes an excellent game room which has a walkout balcony with top dollar VIEWS, VIEWS, VIEWS. There is a MAN CAVE in the center of the garage...perfect getaway for him. Exterior Features Fenced- Full Landscape- Full Trees View Of City View Of Mountains Deck(S) Uncovered Patio- Covered Swimming Pool- Assoc.